Sapient Global Markets, a technology and consulting services firm, has launched RegRecon for reconciliation and regulatory reporting accuracy. RegRecon offers automated trade matching and reconciliation, break management and resolution workflow. It is available as a standalone solution and managed service, or within Sapient’s CMRS (compliance management reporting system) platform. 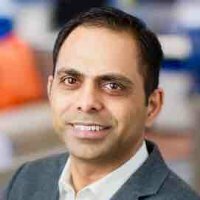 Arun Karur, vice-president at Sapient, says the platform provides “deeper insight in to all trade discrepancies and simplifies resolution tracking of all changes and messages between the middle-office and counterparties”. Sapient says the platform’s trade matching engine addresses data discrepancy and resolution issues by automating two-way trade matching and reconciliation, including “problematic elements” such as universal trade identifiers (UTIs). RegRecon also connects to trade repositories and counterparties to receive confirmation responses as well as end of day reports to perform trade reconciliation. Sapient doesn’t just launch new platforms. Recently, Leda Glyptis, director at Sapient, wrote an opinion piece “Labs’ labour lost: forget fin, forget tech, focus on the client” for Banking Technology. Glyptis notes that incubators, accelerators, labs and fintech investments all have one thing in common – a lack of tangible results, let alone revenue. The technology era has come with its new aesthetic, economic models and philosophy about the meaning of value. It is not going away. And the people who thought economics was theirs to define and aesthetic and values were "hobbies" have a lot of catching up to do. That catching up is your hottest technology trend of 2017.